Here we have the first episode of the live action show which features a story not drawn from the anime or manga. It focuses on the personality differences between the girls, though mainly focusing on Ami and including Naru in the mix. If this was a western production the moral of the story would be "Just be yourself" however as is typical with Japanese film the moral here is hypocritical and twisted around so much that it comes out as "Change who you are to fit in with the majority but don't do it too fast or your friends will accuse you of lying". 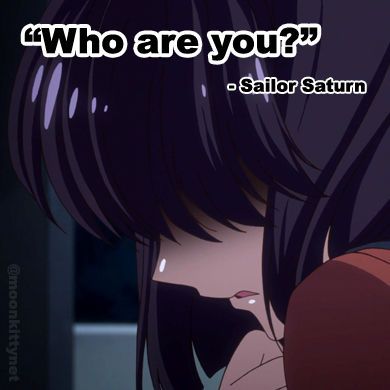 Act 5 starts with Ami waking up and encountering clue, after random clue that her relationship with Usagi and Rei is falling apart. Of course this is purely in Ami's imagination but when her horoscope warns her about friendships and she overhears some other girls bagging out one of their friends, she starts to get a bit paranoid. This is the first time Ami has had friends and she doesn't know how to act. After Usagi complains that Ami doesn't call her by her first name, Ami starts hallucinating and imagines herself and Usagi in a soap opera where Usagi says that the whole friendship was fake and then shoots her! This moment of insanity encourages Ami to buy a book on how to be a good friend which features the usual cliche bad advice which Ami then follows to a t.
The next day, Ami calls Usagi, "Usagi" which Usagi loves, motivating Ami to change herself even more by saying good morning to her classmates. Things escalate when Ami decides to have a sleepover with Usagi and Naru (always a bad idea) instead of going to cram school and let's just say that Ami too the phrase "Make Up!" just a little too literally. Ami passes out from the stress and when she wakes Naru is being taken home and Usagi tells Ami that she wants her to change but only if she really does change. "Friends don't lie to each other" and apparently friends don't tell each other "I love you the way you are" either. Later Luna says she's found another crystal which may be the Imperial Silver Chrystal and sends the girls to check it out. Nephrite is also after the same crystal and he sends a Youma to steal it. Ami decides to take the Youma on by herself and we are introduced to three features of the show that will appear in later episodes. 1: A Sailor Soldier starts doing backflips and the location changes (in this case from a museum to a forest). 2: Sailor Mercury getting her leg caught under something that weighs no more than a tennis racket (in this case a tree branch) and 3: A Sailor Soldier tuning into their selected element in order to complete a mission (here, Sailor Mercury tuning in to water). 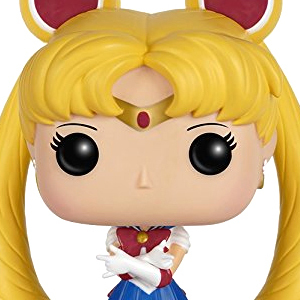 Luckily Sailormoon and Mars come to the rescue and destroy the Youma. The girls hug and thankfully the episode draws to a close with a very cool shot of.... Mokoto, aka Sailor Jupiter!